We have acquired an exciting new piece of equipment – a Clearpath Robotics Husky Autonomous Ground Vehicle, fully kitted with a variety of sensors, including automotive-standard Velodyne LIDAR. 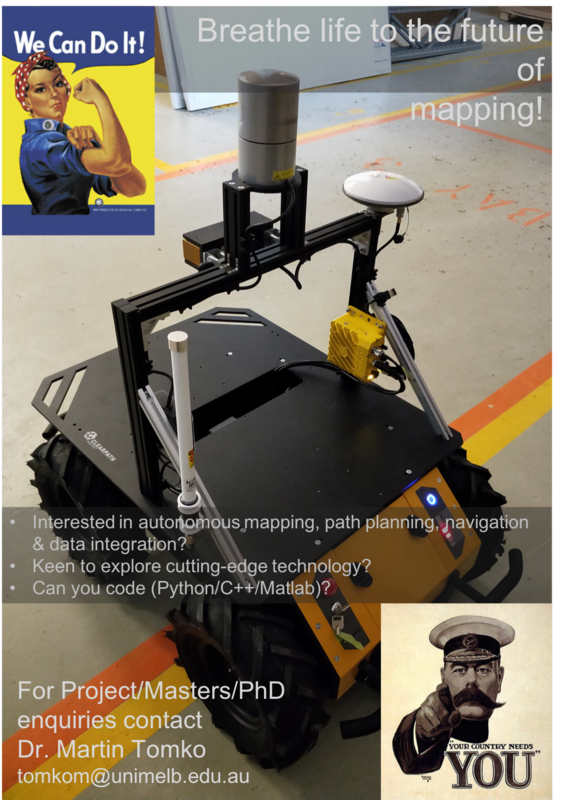 This will be a great boost to our research on autonomous mapping. Get in touch, for all from sensing ( in collaboration with colleagues) to data processing and storage, to coverage planning. « New paper: Street network studies: from networks to models and their representations.